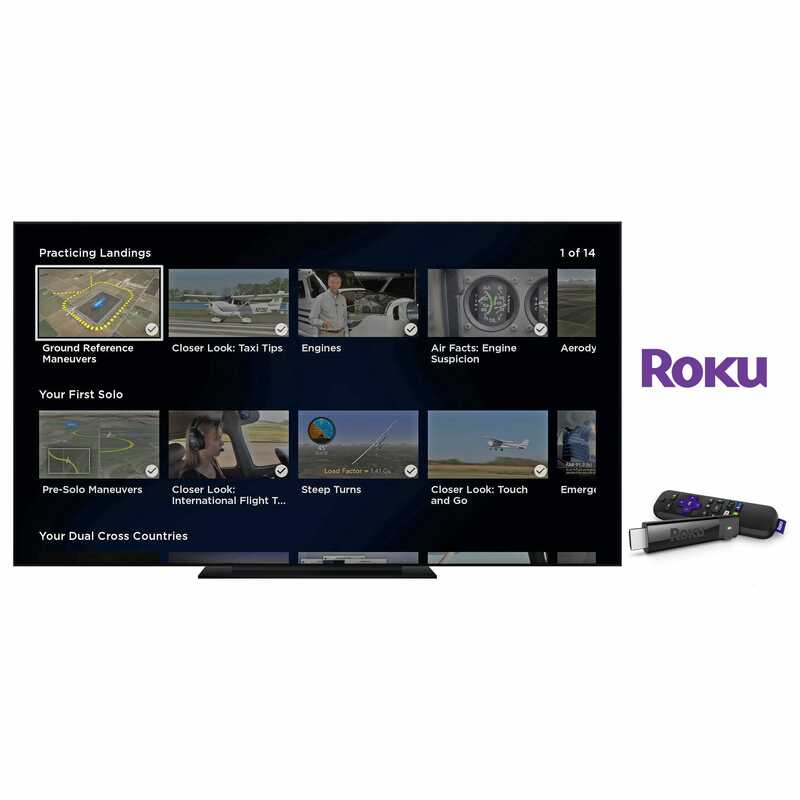 INCLUDES ONLINE, APP AND TV FORMATS! 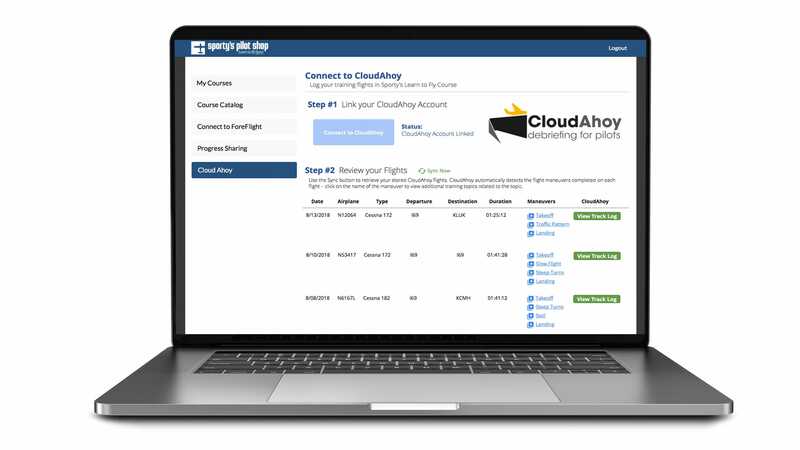 Our Deluxe Course Kit includes everything a student pilot could need, from video training to essential pilot supplies. It's perfect for rusty pilots getting back into aviation, or for aspiring aviators who want to get off to a quick start. We know you’re busy, so our course is available almost anywhere. 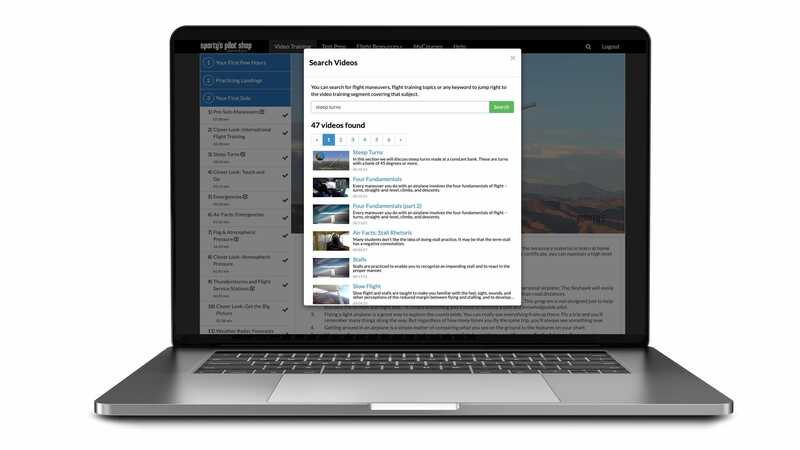 Use our online learning platform for complete access to videos and quizzes anywhere you have an internet connection. There’s no software to install – just log in and start learning. 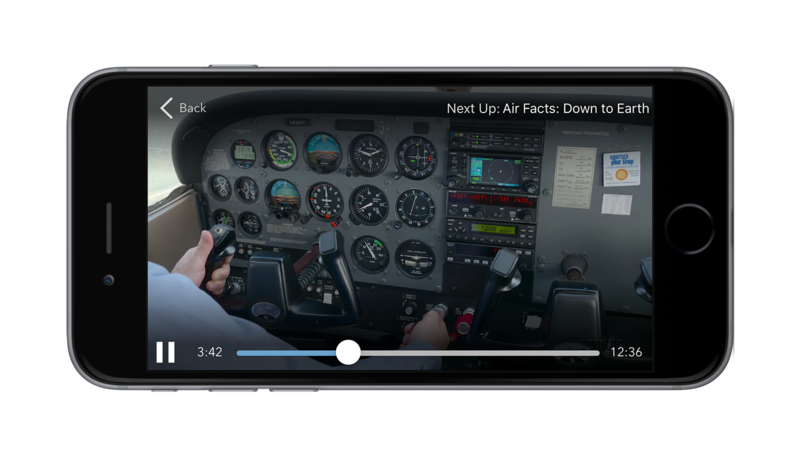 Or use our dedicated mobile apps for iPad, iPhone, Android, Apple TV, and Roku which allow you to download videos for offline viewing. 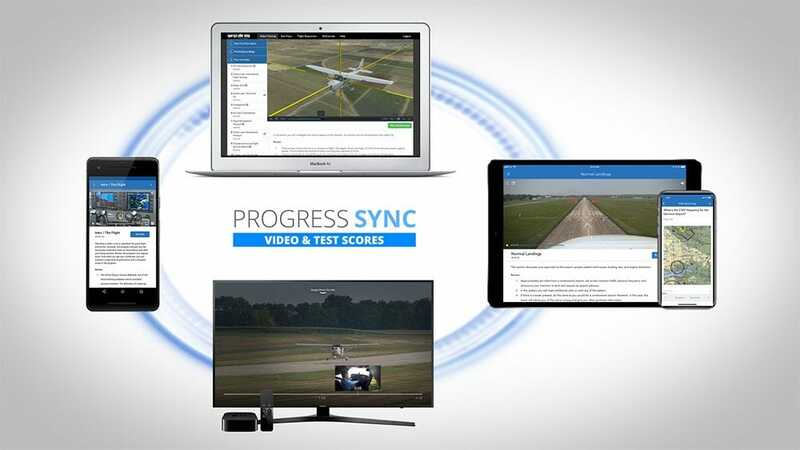 Progress automatically syncs between all formats so you can start a study session on your phone and finish on your laptop without missing a beat. Everything needed In one handy kit. Can't beat it. I wouldn't consider this a "Course"
If you are looking at the with the intentions of an independent study i would like to warn you. There isn't a "course" to take. Its a bunch of outdated videos then you just struggle through practice tests. I was hoping for something with a little more structure and something geared more towards an independent study rather than supplies to buy if you were taking ground school at Sporty's. Great kit, for what I needed to finally finish my private. I see it's easy to argue that the cumulative value of the stuff is simply around or below retail, but the endorsement to take the written, included in this package, appears under-discussed here. It's why I bought it. Practice as much as we want, then ace the tests to get what we need to take the real written, is within this package. Good job Sporty's, and you should make this more prominent in your promotion of this kit in my opinion. My local flying clubs love a new student with a written completion, and a fresh med, before we get in the cockpit. Not enough time spent on the more complicated areas of the course like weight and balance, charts and take off and landing distance, not enough on graph work. Seems like just a video course to watch then your on your own! Needs more interaction. 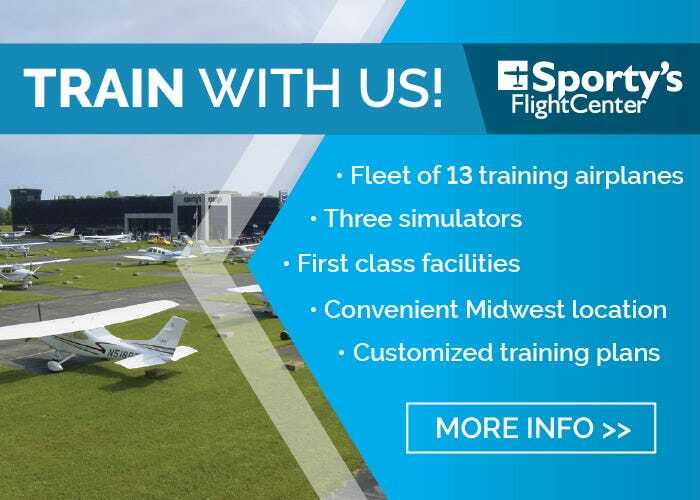 I am starting my PPL at 0 but I am not one to learn from just reading a book or classroom lecture so I did a little research and out of 3 online ground courses to choose from I went with Sporty's. As soon as I bought the program the app was available and I was already addicted to the videos and the follow up quiz after some of the videos. I probably could have stayed up all night. A few days later I get an email stating the shipment with the flight bag, books and other materials is coming and they want feedback when I get it. The box comes and I noticed that the box is soaked. I live in AZ so it rarely rains so it had to have happened in transit some how. I let them know that the some of the items got a little wet and they jumped all over it trying to help me take care of any damaged items. The person I worked with was amazing. Now that I have everything I have put together my own study habits that work best for me. I watch some of the videos and then review the quiz and then read from the texts. I feel I can understand the lesson and can read much faster than I normally read. I love this course so much that I already got the Instrument Rating Course and will write up my review when I get started. Thank you Sporty's and Jack for your help. Bag looks very professional with embroidered name on lid. All contents were there and brand new. Just starting videos and I like the instructor and content. Great company to work with! Great customer service and fast delivery. The items are of great quality. Especially the bag, the embroidery is a great touch! As far as the training material, the videos are easy to watch, easy to follow, very insightful and filled with great knowledge. My only critique would be to have practical and interactive training sessions. For example, Have problem-based questions focusing on performance charts, navigation and weight and balance That actually has to be filled out by the student and walked through from start to finish instead of watching it on a video. Throughout the entire course learning the charts, computations and interpolations proved to be the most difficult to grasp. I rated the value at 4 of 5 only because the price point is a little higher when compared to the market competitors. Still although for the money, it’s a great package. It’s an amazing way to learn how to fly!! It has everything I need and makes flying so fun. For what you actually receive it would be cheaper to just purchase the items indivually. Three of the books are downloaded for free in PDF. After totaling the E6B, bag, plotter, fuel tester that only comes to around $120, and that is if you want that use that bag. The FAR/AIM another $17...etc. There are far better test prep books not valuing $200+. I would recommend doing your research before investing in this bundle. I would go a different route if I could do it again. How long is the course accessible online after purchase? BEST ANSWER: There is no limit - you get free updates as we make them. 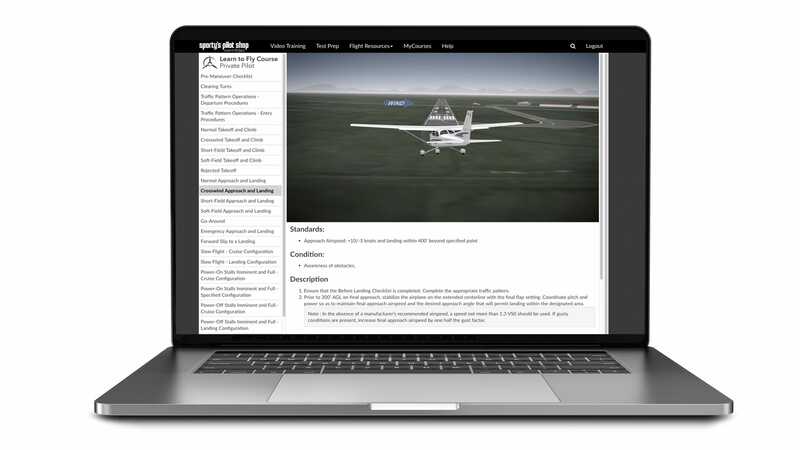 Is "Sporty's Deluxe Learn To Fly Course Kit (Online)" certified as an approved FAA training provider? Is it certified in accordance with Title 14, Code of Federal Regulations part 141? I don't want to buy this kit and than find out that I wasted my time and money because the FAA doesn't accept the Sporty's pilot training kit as an appropriate training course to satisfy the completion of the ground-training when I try to take the knowledge test. BEST ANSWER: Our course will satisfy the completion of the ground training for the written knowledge test. We also provide the endorsement required to take the written test. With a part 141 flight school the training materials that the flight school uses would have to be certified as part of the 141 training program. Sporty's Academy is a part 141 flight school and the learn to fly courses are used as part of the training program. so we are using part 141 training ? Sportys can train as a part 141 or part 61 flight school. How do I access the online or app course once I've gotten the deluxe kit? Is there a code to use to avoid paying the 200 for the app? BEST ANSWER: Go to www.sportys.com/mycourses and log into your course. I sent you an email with the directions to access the course. 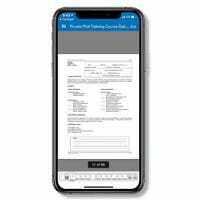 Hi just purchased deluxe course 2019 on line. How do I begin? Where can I find activation code? I first received my private pilot license in 1987. I accumulated about 15 hours of flying that year, got married and had kids and I stopped flying by 1988. I want to start flying again so I recently purchased the Microsoft Simulator X software along with the Saitek Flight Controls. I need to reintroduce myself to everything I learned in Ground School in 1987 with today's information. What is my best route to take to start flying again. 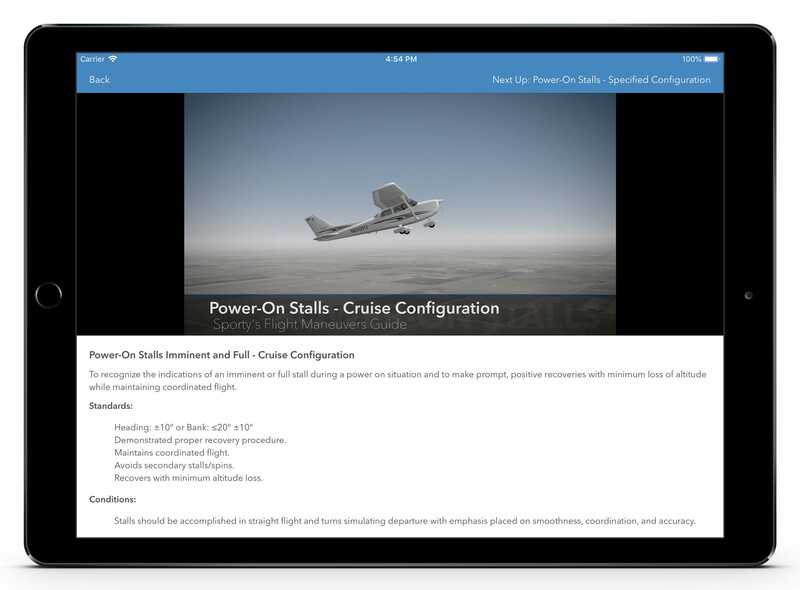 I would like to take a ground school course at home while practicing on the Microsoft Simulator software then head out to an airport to fly with an instructor. Is this the best route? Can I take a ground school class at home? 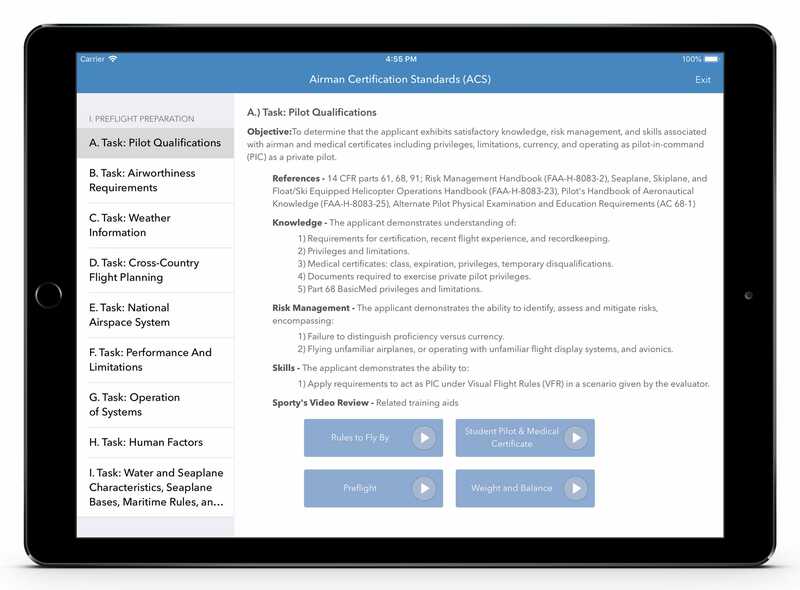 Since you have some time and did complete your PPL I would say that this course would be a good way for you to get current again and brush up on the current rules and regs. 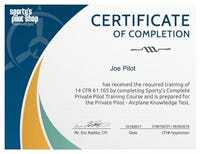 I used the course to complete my PPL after a 10 year break between when I started flight school and was able to complete my PPL. It worked out great! It was much easier than sitting in a classroom and it allowed me to move at my own pace. 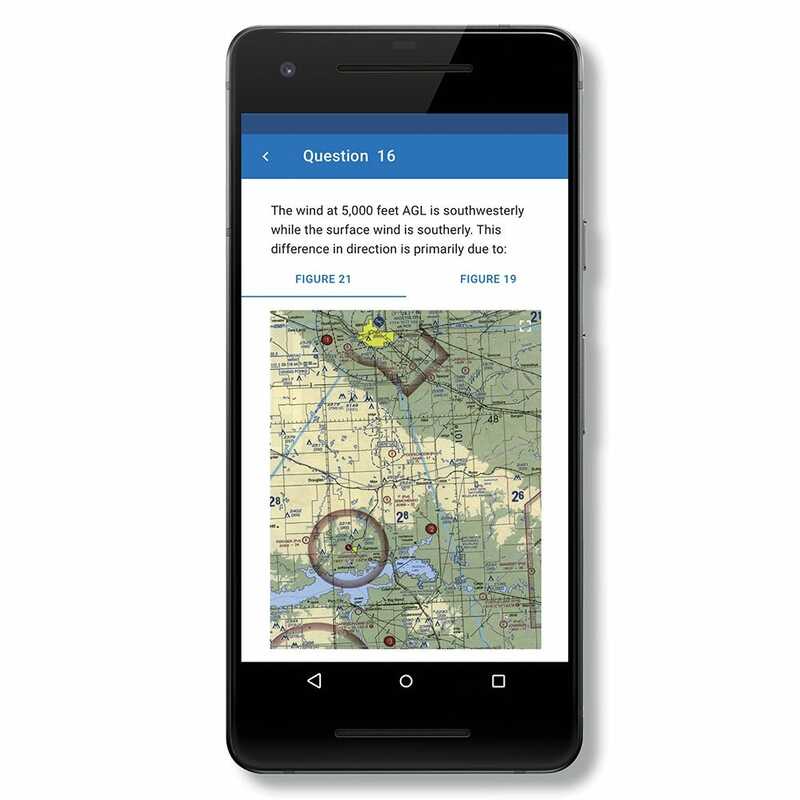 It helps to have at least some working knowledge of the FAR/AIM and aeronautical knowledge to really make the course beneficial to you but if you do not remember anything, no worries, the course does go through even the basics. Overall, I highly recommend the course. I know some people do not like the online/DVD approach to ground school but to me it is the way of the future and I enjoy it a lot more. Hope this helps you! 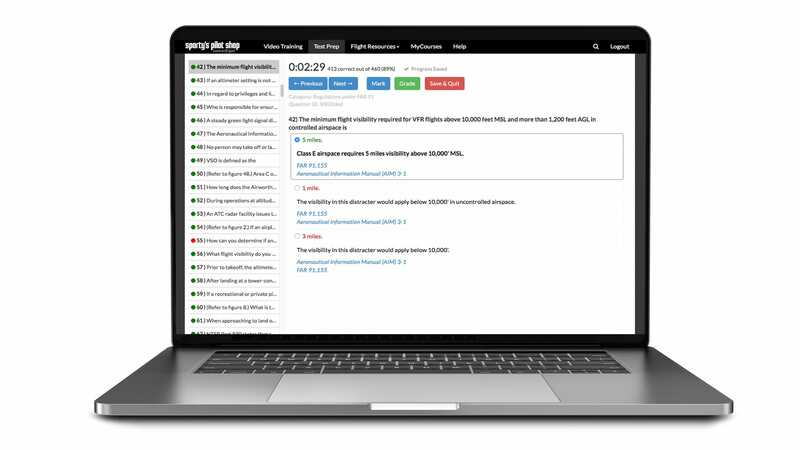 The private pilot ground school from sportys will definitely get you back up to speed on the knowledge portion . 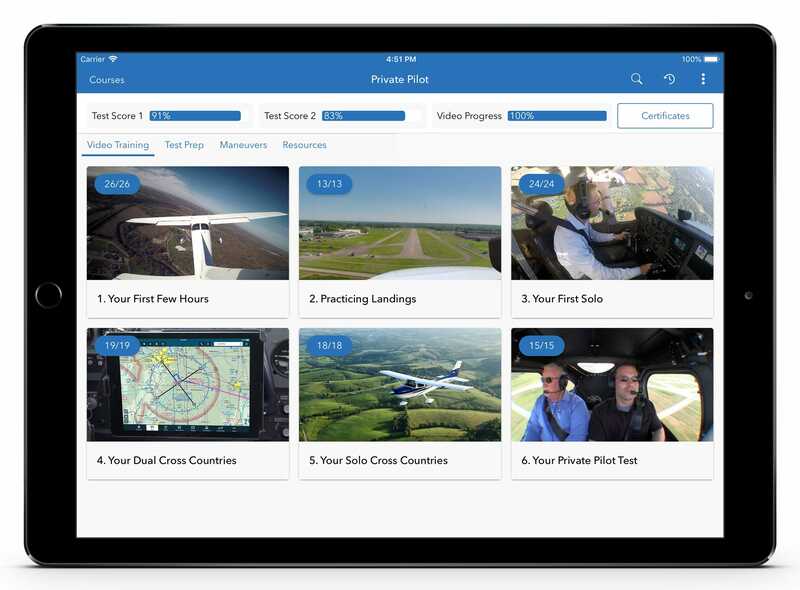 Microsoft sim will get you used to where to put your hands and eyes while flying but you should definitely get with a good flight instructor and start working on your flight review. 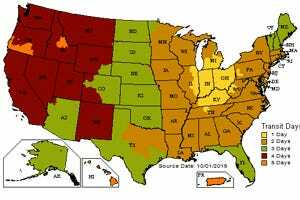 Also check to see if AOPA is holding a rusty pilot seminar in your area. Yes, it's the way I'm going. That way I'm only paying for flight time... Study at your pace...Have fun!! 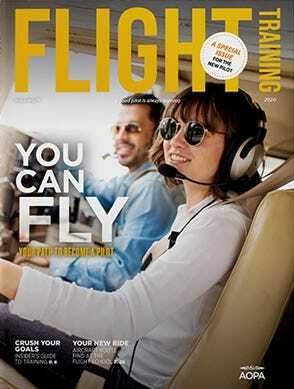 In the delux version of learn to fly do you get the DVDs and online as well? BEST ANSWER: No, this kit includes only the online course. 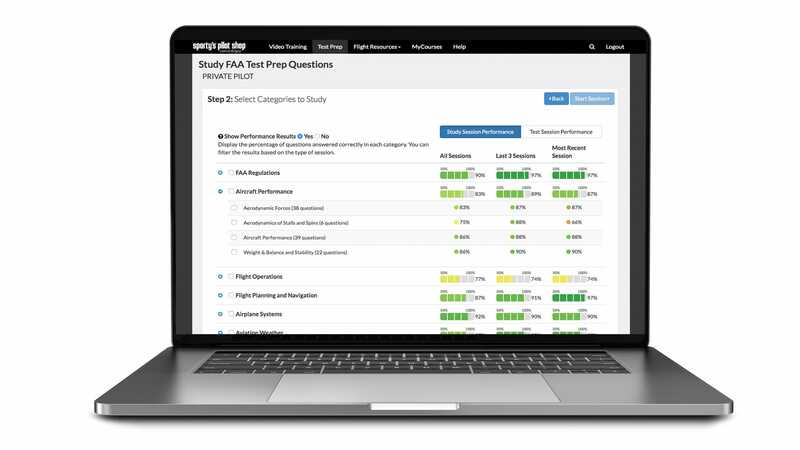 BEST ANSWER: Our course is designed to provide you with the necessary knowledge for the FAA written exam. You will need to complete the flight portion with a local flight instructor. 2018 FAR AIM included in purchase or is it 2017? BEST ANSWER: It will be the current edition. I noticed that there are a lot of new items as of January 2017. Are the books the newest editions as well? BEST ANSWER: Yes the books are the current editions. is the FAR AIM included in this set? What is the difference between this and the test prep for 199? Is it just the books and bag? BEST ANSWER: The deluxe kit includes the bag, books, plotter, and E6B as well as the course. BEST ANSWER: We ship worldwide. If available please select the I-Parcel shipping option. Can two people use the same kit? BEST ANSWER: The kit is designed for one pilot. Is this good for sport training? BEST ANSWER: Yes, our course includes the Sport, Recreational and Private course. Can I use both the APP and the Online, or is it one or the other? BEST ANSWER: You have access to both and can use both. would a 14 year old be able to understand this course? What is the recommended study time for the course? I’m planning to take a week to study and then take the exam. My goal is to pass the written before I start flight training. Is that recommended? BEST ANSWER: The course includes 29 hours of video. The study time is usually three to four weeks. Is there an option to upgrade to the ASA CX-3 flight computer? BEST ANSWER: No, the kit is discounted with the item shown. do the course has an expiration date? or i keep it forever? BEST ANSWER: The course is yours forever. is there an option to upgrade to another bag or are those sold seperately? BEST ANSWER: There is not an option to upgrade to another bag. The other bags are sold separately. Does this on android or hp computer? BEST ANSWER: The course will work on any platform using a web browser. Can my wife and I share the purchase of one course and both get endorsements? BEST ANSWER: The course will only issue one endorsement. 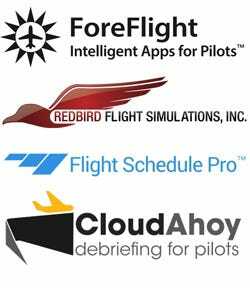 You can have a CFI endorse that you have completed the home study course prior to taking the FAA written Exam. I recently purchased the online version only and was wondering if I could upgrade to the kit? This is a gift. Will the recipient receive DVD's or online access? Can this be used for a part 61 school? BEST ANSWER: Yes, we use it for both are part 61 and part 141 customers. How long is the written test endorsement valid for once the course is completed? BEST ANSWER: The endorsement does not have an expiration date. The test results are valid for two years. Does this bundle also include eBook/ePub format of FAR AIM or the Handbook of Aeronautical Knowledge? BEST ANSWER: The books in this bundle are softcover books. Understood - I was just hoping that the digital / online components of this package would also include digital copies of the books that are provided with the package as well - so I could take the whole thing, books and all, with me on my iPad. Check the faa website you may find the books there. If I take the course will I receive a certificate of completion after I finish it? BEST ANSWER: You will receive an endorsement to take the FAA Written Exam. I don't need the logbook from this package, can I exclude it from my purchase? BEST ANSWER: You could request that the log book is removed. However, the price would not change the kit price. 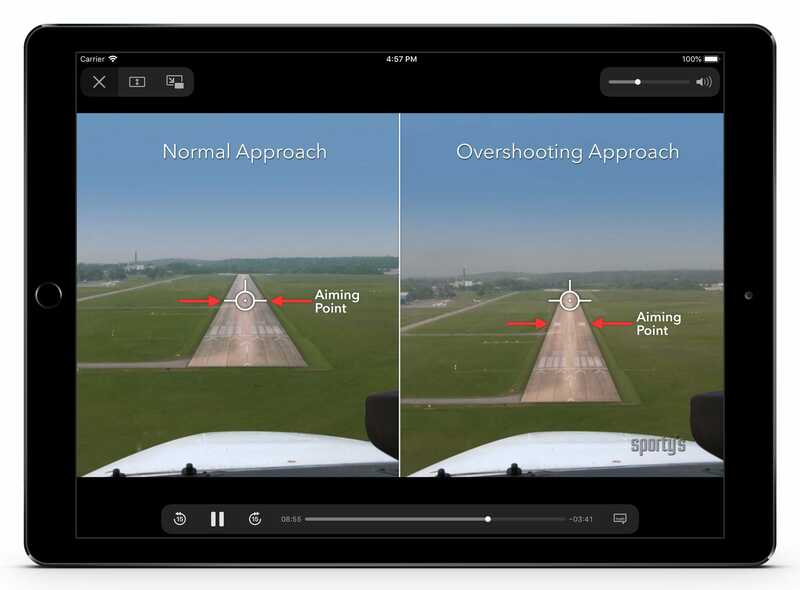 Will Sporty's deluxe learn to fly course kit (online and app) 2018 edition work with Android phones and ipads? Thanks in advance. BEST ANSWER: The app is for an IOS device. The online course will work with any device using a web browser. 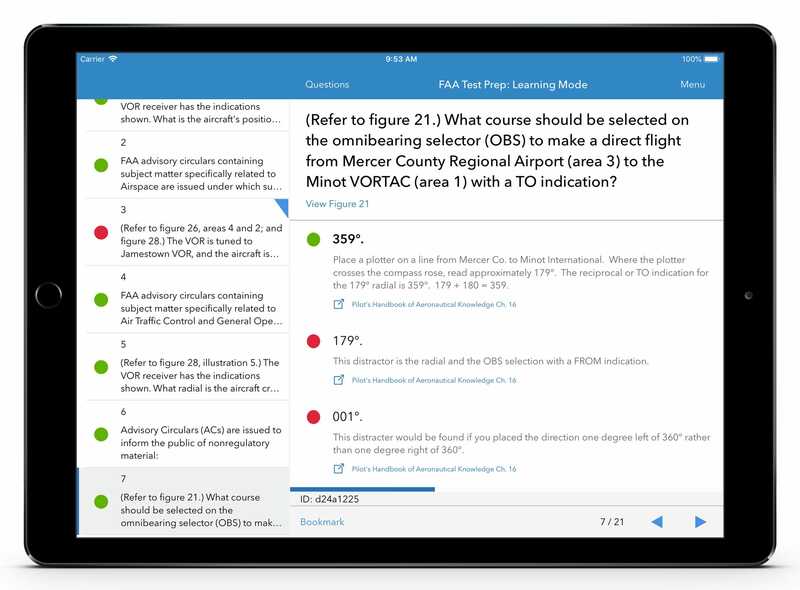 If I purchase the kit as an online course, can I use it with my ipad/iphone also? or is that a separate kit? BEST ANSWER: You can use the iPad/iPhone with a web browser. You will not have access to the app as the online course and app are separate products.